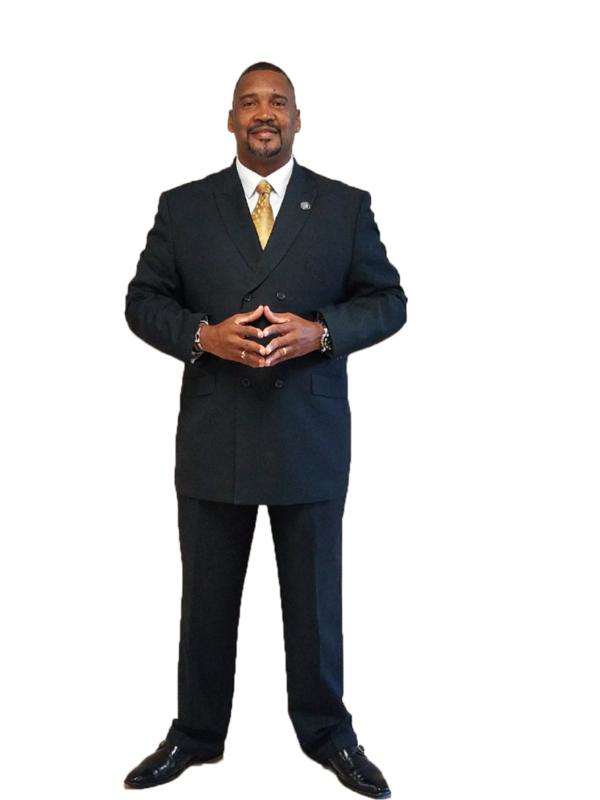 Bishop E. Eugene Logan is the Founder and Senior Pastor of Fresh Wind Outreach Ministries, and is an anointed preacher, and visionary, with a strong prophetic calling on his life. In addition, he has a burden for deliverance ministry, with a focus on those bound by drugs and alcohol, and is able to minister effectively to youth of all ages, with relevant, life-changing messages. Bishop Logan was born in Danville, Virginia and attended St. Paul's College in Lawrenceville, Virginia. Bishop Logan rededicated his life to Christ in 1997 when he joined the Mount Olive Baptist Church of Arlington, Virginia. In answer to the Lord's call on his life, he was licensed as a Minister in 1999 and is always ready and willing to preach the Gospel of Jesus Christ. In addition, he founded the non-profit outreach organization, Community In Unity, Inc., for the sole purpose of reaching out to today's youth and families to share the love of Jesus and empower them to live according to the purpose and plan that God has for their lives. To this end, he has hosted several revivals and basketball camps in the Northern Virginia area as well as in the U.S. Virgin Islands. In April 2002, Bishop Logan and his family joined New Life Anointed Ministries, International, in Woodbridge, Virginia, under the tutelage of Bishop Eugene Reeves. There, Bishop Logan served as an Associate Minister and Youth Ministry Leader in various capacities. On January 15, 2006, Bishop Logan was ordained and installed as Pastor of New Life Anointed Ministries-West in Culpeper, Virginia, a position he held through December 31, 2013. With his guidance and leadership, the ministry grew from its initial membership of 9 to over 150, and made a powerful impact in the Culpeper and surrounding areas. He counts it an honor and privilege to have served as Pastor under the spiritual covering of Bishop Eugene & First Lady Reeves, and to share in the rich, spiritual legacy of New Life Anointed Ministries. In obedience to the Holy Spirit, Bishop Logan launched out on January 1, 2014, and the vision of Fresh Wind Outreach Ministries was birthed. Fresh Wind Outreach Ministries is a growing, non-denominational, multicultural ministry, with a mission to allow Jesus to live, to light, and to lead through us. Fresh Wind Outreach Ministries is committed to the person of Jesus Christ, and all preachings and teachings are based on the revealed Word of God. Fresh Wind Outreach Ministries is more than a church...it's a family, with a passion to love and serve God's people all ages and backgrounds. Bishop Logan has had biblical studies at World Missions Ministries Bible College, under the tutelage of Pastor Anthony Turkson, as well as Bethlehem Christian University, under the tutelage of Pastor Sue Gregg. In his pursuit of excellence in ministry, Bishop Logan will be continuing his biblical education at Bethlehem Christian University this year. Bishop Logan is married to the former Terry Llanos of St. Croix in the U.S. Virgin Islands, who pastors alongside him. Family is very important to Bishop-Elect Logan, and he takes very seriously the responsibility of creating lasting spiritual legacies for his son, daughter-in-law, and four grandchildren. One of Bishop Logan's favorite scriptures is taken from Proverbs 3: 5-6: "Trust in the Lord with all thine heart, and lean not unto thine own understanding. In all thy ways acknowledge Him, and He shall direct thy paths."